Singer, songwriter and multi-instrumentalist funkster Michael Leonhart is essentially a space invader from the year 2018. To his credit, he’s the youngest Grammy recipient ever (received it at age 17), has performed with everyone from A Tribe Called Quest and Sharon Jones and The Dap Kings to Steely Dan and Yoko Ono. His latest project Seahorse and The Storyteller is basically soul, funk and R&B on acid. For more insight into the assorted music of Michael Leonhart, definitely check out Hotel Music (2008), The Suzy Lattimore EP (2005), Slow (2002) and Aardvark Poses (1995). Point blank: The man is a musical prodigy. 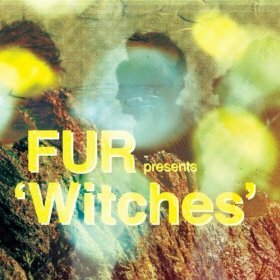 Witches by FUR ticks away in effervescent experimental tonal imagery. Ambient inspired pulsating beats are melted against shimmery pops of keys and a whole host of instrumental artillery to create visual harmonies that in turn give birth to mood shifting and mind bending. Dreamy, ocean sea orchestra’s move between a feel of haunted elegance to lo-fi, upbeat, super chilled out tracks. “Haunted” moves with steady robotic funk, reminiscent of early Daft Punk. Choppy key plunks create a nice sunrise groove that saunters seductively into galactic soul rhythms. “Blood” creeps in with a gleeful child-like playground energy, yielding imagery of a deep forest full of wonder and amazement. The beats hit against themselves mocking running steps. There is a soft utopia, a nice ethereal feel to this album by FUR who is also known as Bryce Isbell. With the help of Alan Palomo of Neon Indian, this avante garde, stripped down happy marriage between techno and ambient is so full of liquid melodies it breathes to life its own warm and simple satisfied haven. 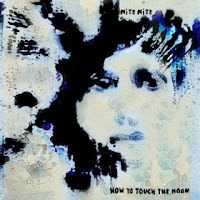 Nite Nite has by far created one of the most unique albums out today with How to Touch the Moon. The genre of the album is hard to pinpoint. It’s rock, glam, 60’s jam, pop, funky and so much more. Don’t try and cram this into a pre-labeled box, you’ll never succeed. Dark, chilly vocals are unmatchable to many artists grasping a microphone today. “Clear as a Bell” has well, many elements of a bell. Clanging instrumentals keep up with the quick pace of vocals being shot at lightning speed. Echoing undertones could literally put your head in the setting of bell. Nite Nite is a homegrown American band that sounds like an eclectic international sensation. The music is fun and interesting to listen to but the album does have a few dull points. The beats can get repetitive in some songs that turn the music numbing. I would love How to Touch the Moon as the background to a party, but as something front and center in the car it can get dull. Though I still lament the demise of Be Your Own PET, some pretty good bands have risen up from their wreckage. Jemina Pearl made a solid album of pop-punk, Turbo Fruits have a pair of cool records, and then there’s JEFF the Brotherhood. That brotherhood is comprised of Jake and Jamin Orrall, both original PETs. Their music is what I would classify as big dumb rock. To give you an idea of what I mean, the album is called Heavy Days and three of the songs on it have the word “heavy” in the title. Indeed these boys know their way around a Big Muff and a classic rock riff. 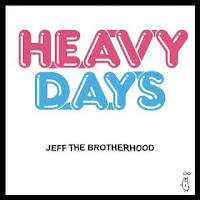 Other worshippers of fuzz such as The Hellacopters, Fu Manchu, and Electric Frankenstein spring to mind when listening to Heavy Days. JEFF the Brotherhood are a little more tongue-in-cheek though and at times sound closer to Eagles of Death Metal. But while they do the buzz saw annihilation thing really well, they do display an ability to change it up a little and those moments are some of the best. “The Tropics” slows down considerably and shows off more of a melodic side, although they still refuse to turn down the distortion, but you gotta love ‘em for sticking to their guns. The out-of-nowhere hip-hop ending of “Bone Jam” is another unexpected change of pace but I can’t say it isn’t cool and doesn’t make me smile every time I hear it. All in all, if you like bands that just let loose and rock out you’ll probably dig JEFF the Brotherhood and find this album worth your time. 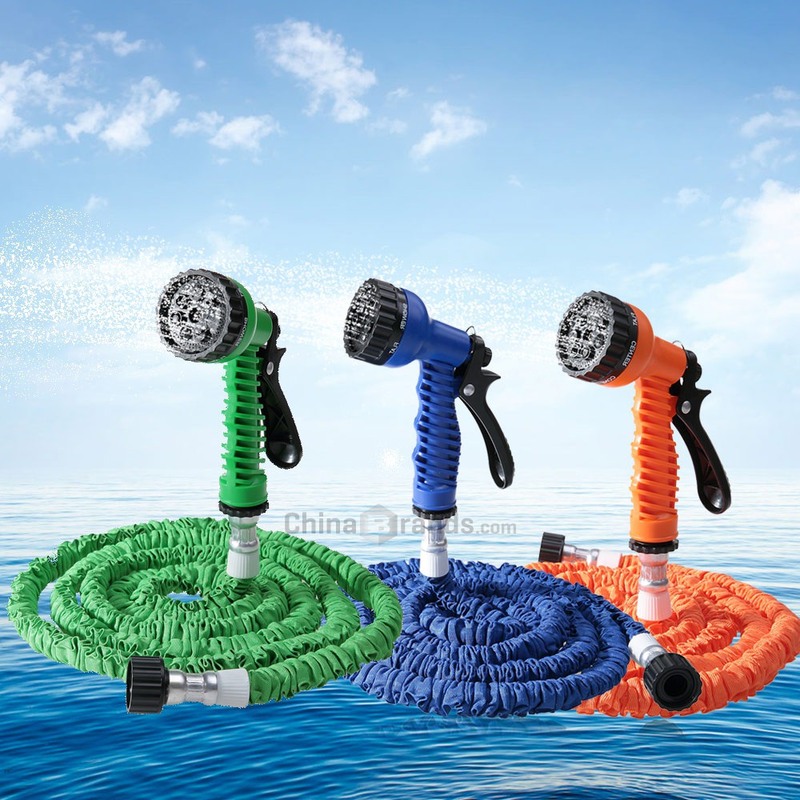 It surely won’t change the world but it might make it more fun. 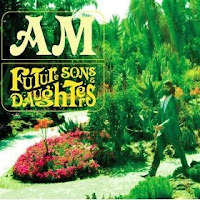 The vintage hazy day melodies of sun drenched sixties and seventies rock charm are much of what AM’s latest album, Future Sons & Daughters offers. There are plenty of soaked out electric guitars framing seedy synths, love regretful lyrics and swimming violins on “Darker Days.” Easy listening and mellowed keys bounce on the catchiness of “Grand Opinion,” without pretension or self-awareness and this formula adds to the allure of the whole album. This wicked mix of soul, rock, pop, swing and bossa nova runs righteous with AM’s middle of the road vocals. The style obviously works. Music from AM can be heard on hit television shows like “Brothers and Sisters,” “Big Love” and “The Hills.” The overall feel of the album is buoyant pop borrowing from sounds of yesteryear. The backing band to lead singer, AM is as steady as ever. The layered bashes of high hats and stiff drums, the pop-infused spirals of electric guitar all work wonderfully well as pushing forward, old dusty yet moody lounge music is smothered in seventies California, giving it some new, almost indescribable edge of the future. 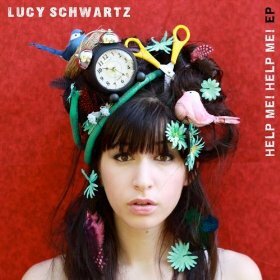 I first became familiar with 20-year old singer, songwriter and pianist Lucy Schwartz last year on the soundtrack to the 2008 remake of the 1939 classic The Women, which stars a host of female actresses (Meg Ryan, Jada Pinkett-Smith, Bette Midler). Regardless, Lucy’s “old soul” vocals can be heard in the opening and closing sequence of the movie (“Count on Me” and “Beautiful,” respectively). Despite the fact that Help Me! Help Me! tips the genre line of soulful folk, it also gives insight into the young singer’s life. “Those Days” which is from her forthcoming release, Life in Letters is a catchy number about having a “case of the Mondays.” Yet “Gravity” is an acoustic cry about growing up. But it’s the cover of the classic Queen of Soul track, “Respect” that got my attention the most. I admit, I was skeptical at first. I mean who has the audacity to even try and touch Aretha?? Well, this “old soul” does. And she does it in quite the soulful and folky way. 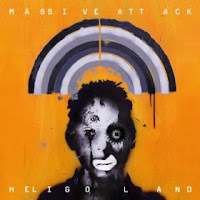 Heligoland, the fifth studio album from Massive Attack, has arrived seven years after their last one, 100th Window. On this album, there are contributions from Elbow’s Guy Garvey, Blur’s Damon Albarn, and Mazzy Star’s Hope Sandoval, among others. Overall, the sound brings the listener back to their roots, with the return of original member Grant “Daddy G” Marshall, who helps the group return to some of the sounds heard on 1997’s Mezzanine. Heligoland has mellow beginnings, with the song, “Pray for Rain,” building subtly. It has some cool, clear beats around three minutes and forty seconds in that really make it shine. 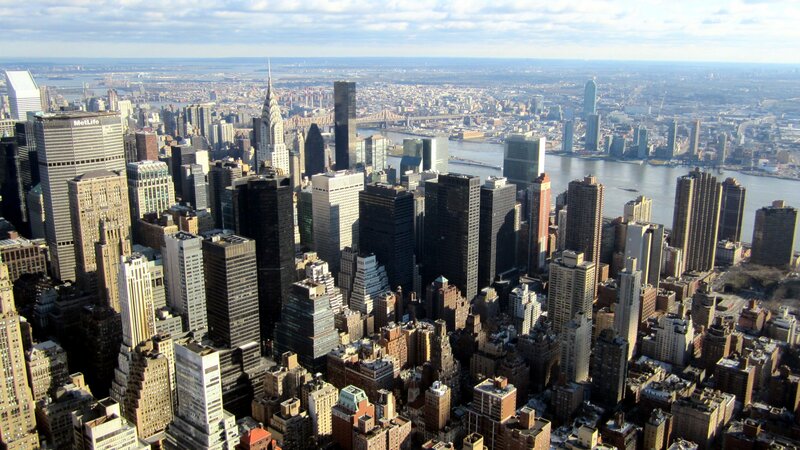 Then I’m waiting and waiting for it to build and build some more, like on Mezzanine… but it becomes listless. Martina Topley-Bird, the female vocalist on the second track, “Babel,” provides something more stylistic, but again, it’s slightly deadpan. Marshall’s deep bass vocals on the third track, “Splitting the Atom,” are beautiful, but overall the music on this album doesn’t drive me; it seems to lack a passion that was so very present before. The fourth track, “Girl I Love You,” featuring Horace Andy, sounds like a nice blending of Blue Lines and Mezzanine, and thus, it would have made a better EP than Splitting the Atom did. Overall, this album has an eternally slow, peaceful, and steady quality, hinting of reminders of where Massive Attack has been, but not as massive as what they were. 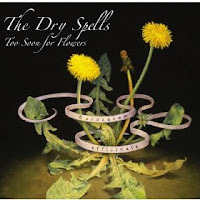 For a group of NPR embraced, witchy women from San Francisco, Dry Spells really have balls. How else to explain their cover of “Rhiannon,” perhaps the best known song in the Fleetwood Mac canon, and the anthem of their spiritual sister, Stevie Nicks. Against the odds, the damned thing works because they re-imagine it, playing with tempo and dynamics, not treating it as sacred text. Dry Spells lack of respect works well too, on the traditional Appalachian folk song “Black is the Color,” which is given more of a driving rock rhythm. The wall-to-wall harmonies of singers Tahlia Harbour and April Hayley are rightfully given full focus on Too Soon For Flowers, Dry Spells debut album. Their delicate interplay and eccentric choices are what carries the record. The music itself, while capturing a mysterious, languorous vibe is not memorable. The girls deserve a better rhythm section. The relentless, Mick Fleetwood style tom-tom pounding really wears thin, and is often noticeably out of time. Since most of the nine songs clock in at close to six minutes, it becomes apparent some more focused songwriting would help matters. “Sruti” and “The Golden Vanity” drag on inconclusively. When hippies play reggae it’s always a mistake and “Evangeline” is no exception. The romantic mood the Spells are trying to cast, at times does come close to being hypnotic. But the trance is broken too often by sloppy execution, unfocused writing and the occasional out of tune siren’s wail.